Monet’s series paintings of the 1890s—multiple variations of a single motif conceived, executed, and exhibited as a group—are among his most inventive and remarkable works. In the winter of 1892 the artist spent several months studying and painting the façade of Rouen Cathedral in his native Normandy. 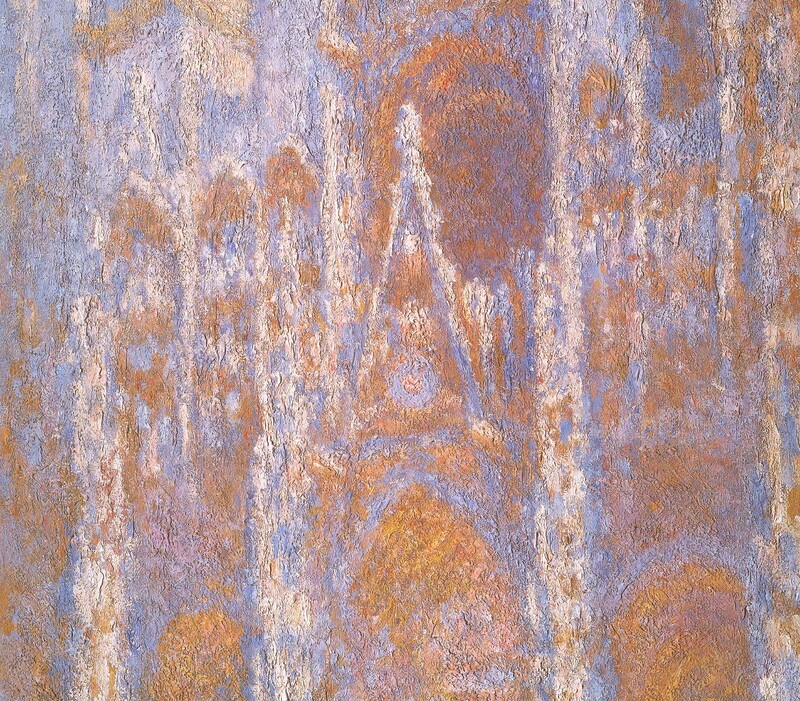 From rooms facing the cathedral across a square, Monet concentrated on the analysis of light and its effects on the forms of the façade, changing from one canvas to another as the day progressed. 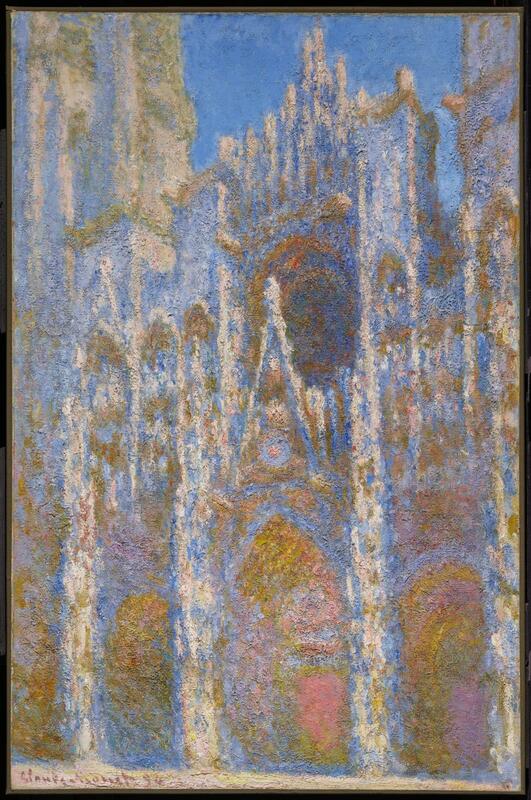 Later he extensively reworked the thirty paintings of the cathedral series in his studio at Giverny. Their encrusted surfaces of dry, thickly layered paint evoke the rough texture of weathered stone, absorbing and reflecting light like the walls of the cathedral itself.